iOS VEVO apps now live. US music video website VEVO has brought its popular service to the UK and also launched the accompanying apps for iOS devices and Android phones on these shores too. You've all heard of VEVO, most of the new music videos you watch on YouTube are from the VEVO channel, but until now UK users have been unable to access the service due to licensing issues. Now the library of 25,000 tracks and 7,500 artists including the likes of Lady Gaga and Eminem is live in the UK, bringing the best from record labels EMI, Sony and Universal. 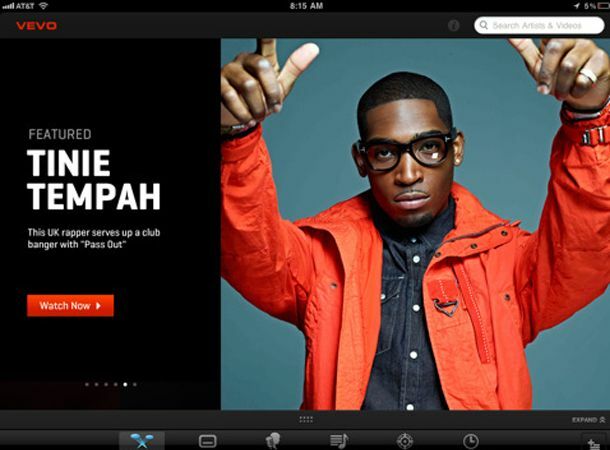 The apps themselves will feature exclusive videos, charts, playlists as well as VEVO original programming. It's easy to share the songs of your choosing on Facebook and Twitter or, conveniently, buy them via iTunes. The app also boasts AirPlay compatibility, so if you own an Apple TV box, you can send the videos to the big screen. Bonus. Users of the free app can also save videos to custom playlists for easy access and enjoy a little bit of music trivia before watching Katy Perry, Britney, J-Lo and co do their thing.